Secretary of Agriculture Sonny Perdue named three individuals who will take on leadership roles as the U.S. Department of Agriculture (USDA) continues the reorganization announced on May 11, 2017. In accordance with a directive in the 2014 Farm Bill, USDA created a new Under Secretary for Trade and Foreign Agricultural Affairs as part of a realignment of several mission areas. The reorganization also included a reconstituted mission area reporting to a newly-named Under Secretary for Farm Production and Conservation. 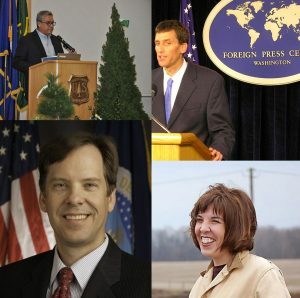 The U.S. Forest Service, given its size and importance, will be the only agency to report to the Under Secretary for National Resources and Environment. For these three mission areas, Perdue has named Acting Deputy Under Secretaries, who will serve in their roles until the Senate confirms permanent presidentially-nominated appointees. Jason Hafemeister, until now serving as the Acting Deputy Under Secretary for Farm and Foreign Agricultural Services, will now be Acting Deputy Under Secretary for Trade and Foreign Agricultural Affairs. He has been involved in agricultural farm and trade policy for over 25 years, including almost 20 at USDA and with the Office of the U.S. Trade Representative. 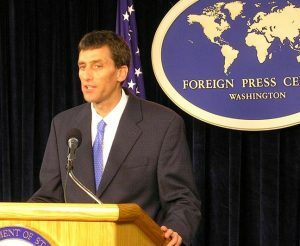 Hafemeister’s responsibilities have included serving as the lead U.S. negotiator on agriculture in the World Trade Organization’s (WTO) Doha Round negotiations, the Central America Free Trade Agreement, and China’s accession to the WTO. He was instrumental in finalizing the recent agreement to allow the importing of U.S. beef to China. Hafemeister received a bachelor’s degree from the University of California at Berkeley, a master’s degree from the University of California at San Diego, and a law degree from Georgetown University. Agricultural trade is critical for the U.S. farm sector and the American economy as a whole. U.S. agricultural and food exports account for 20 percent of the value of production, and every dollar of these exports creates another $1.27 in business activity. Additionally, every $1 billion in U.S. agricultural exports supports approximately 8,000 American jobs across the entire American economy. As the global marketplace becomes even more competitive every day, the United States must position itself in the best way possible to retain its standing as a world leader. 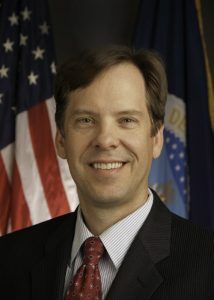 Dr. Robert Johansson will serve as the Acting Deputy Under Secretary for Farm Production and Conservation, while also concurrently remaining USDA’s Chief Economist, a position he has held since July 2015. Since 2001, he has worked as an economist at USDA, in the Office of Information and Regulatory Affairs at the Office of Management and Budget, and at the Congressional Budget Office. In 2011 he was appointed senior economist for energy, environment, and agriculture on the President’s Council of Economic Advisers where he also participated in the White House Rural Council and the President’s Council on Jobs and Competitiveness. Dr. Johansson served as Deputy Chief Economist at the USDA from 2012 to 2014. He received B.A. in Economics from Northwestern University and then served with the U.S. Peace Corps as an extension agent in several African countries from 1990 to 1995. After returning to his home State of Minnesota, he entered the graduate program in Agricultural Economics at the University of Minnesota and received his M.S. in 1997 and Ph.D. in 2000. His research has spanned a wide range of issues, including biofuels policy, water quality and quantity policies, regulatory economics, food security, and regional modeling of agricultural systems. The Farm Production and Conservation mission area will focus on domestic agricultural issues. Locating the Farm Service Agency, the Risk Management Agency, and the Natural Resources Conservation Service under this domestically-oriented under secretary will provide a simplified one-stop shop for USDA’s primary customers, the men and women farming, ranching, and foresting across America. Dan Jiron will fill the role of Acting Deputy Under Secretary for Natural Resources and Environment. 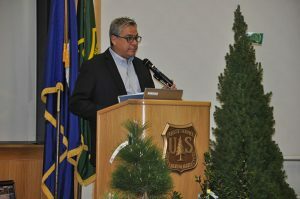 With more than 29 years of public service and natural resources management, Jiron was appointed Associate Chief of the Forest Service in July 2016. Prior to this appointment, Jiron served in many leadership positions, including Regional Forester of the Rocky Mountain Region; Deputy Regional Forester in the Pacific Southwest Region; Forest Supervisor of the Santa Fe National Forest; District Ranger on the Salt Lake Ranger District of the Uinta-Wasatch-Cache National Forest; District Ranger on the South Park Ranger District of the Pike and San Isabel National Forest, Comanche, and Cimarron National Grasslands; Director of Communications and Legislative Affairs of the Intermountain Region, National Press Officer in Washington, D.C.; and aide to United States Senator Ben Nighthorse Campbell of Colorado. Jiron earned a bachelor’s degree from Colorado State University and a Master’s degree from the Regis University of Denver. Under the reorganization plan, the Under Secretary for Natural Resources and Environment will retain supervision of the U.S. Forest Service. 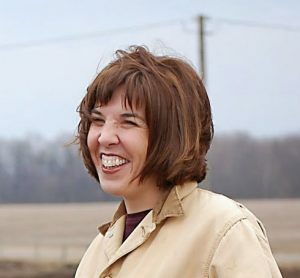 As previously announced, Perdue has named Anne Hazlett to lead the Rural Development agencies at the U.S. Department of Agriculture (USDA). Hazlett, whose title will be Assistant to the Secretary for Rural Development, will oversee the Rural Utilities Service, the Rural Business Service, and the Rural Housing Service. She most recently served as Chief Counsel to the Majority on the U.S. Senate Committee on Agriculture, Nutrition, and Forestry. Hazlett’s position represents an elevation of Rural Development, which had previously been in the portfolio of an under secretary, who in turn reported to the deputy secretary of agriculture. Instead, Rural Development will now report directly to the Secretary of Agriculture.